Make Your First Golf Swing Memorable, Do it at Thousand Hills! 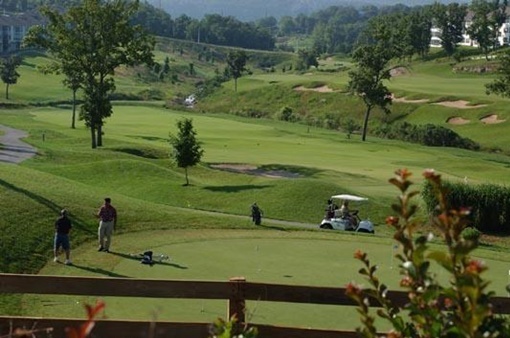 Thousand Hills Golf Resort in Branson is home to one of the most popular 18-hole golf courses in the Midwest. Beautifully located in the heart of Branson near the famous 76 Country Music Blvd., the resort offers top of the line golf equipments at affordable price. Their golf equipments can help make your first golf swing memorable at Thousand Hills Golf Resort. Their Golf Club Rentals features top of the line Nike golf clubs that includes everything you need to make your first round of golf. Whether it’s your first time to play golf at Thousand Hills or you are one of the pro golfers looking for a challenging game, the staff is ready to assist you for your playing pleasure on the greens. If you want to learn golf at Thousand Hills Golf Resort, it would give you an awesome experience as the golf course is equipped with beautiful fairways and challenging tees that add aesthetic value and excitement in the course. Get the chance to learn how to play golf at the resort’s award-winning 18-hole golf course where about 25,000 golfers have already played in there. The beautiful location of the golf course in a secluded place, will let you enjoy the wonderful combination of challenging holes and beautiful natural scenery. Since 1993, the resort have already served thousands of golfers and most of them were satisfied and many came back to play again. When you try your first golf experience at Thousand Hills Golf Resort, get the advantage of renting premium Nike golf club rentals. The golf club rentals have varying prices that range from $15 for 9 holes to $25 dollars for 18 holes. As you start to play golf, you will be handed with a blue bag, if you are right handed golfer. This bag comes with a driver – the new Nike Mach speed black, has a graphite shaft, and comes with a 9.5 degree loft. It has a Nike Mach Speed 3 wood and a 15 degree with a graphite shaft. This 3 hybrid version comes with a steel shaft and the irons start at 4 iron. The irons, the putter, and the new Nike Everclear putter come with a steel shaft. Left handed golf players will be designated with a black bag with the same weight cart bag of the right handed version as well as the putter, 3 wood, hybrid and driver. Lady golfers are designated with a red bag. Ladies version start at 5 irons and extend through the stand wedge, and use the same Nike Everclear putter. This version has 4 hybrid with a graphite shaft and the same Nike Mach Speed driver with graphite shaft also. So, If you want to make your first golf swing memorable, do it at Thousand Hills Golf Resort where learning to play golf would be awesome if you will practice playing golf and make a perfect golf swing using the finest golf club equipments.